Did you know British Airways flies beyond Britain to hundreds of destinations all over Europe? Most in North American didn't, or assumed they didn't. In truth, BA and their partners, fly to almost anywhere in Europe and beyond. 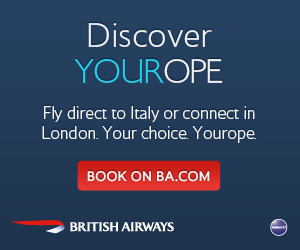 And thanks to all the ways you can get there, BA makes Europe more personalised and "yours" – Yourope. We needed a way to not only comminicate variety and choice, but also spark the desire to travel, explore and show that everyone's expereinces can and should be their own. 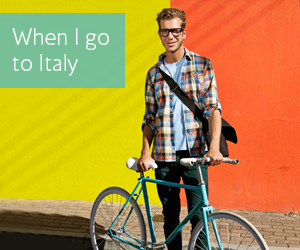 So we created a series of adventures around some major destinations in Europe. They became a YouTube interactive "chose your own adventure" series that let's the user chose to see two sides of these famous cities – both being unique and unexpected. It was launched with a plethora of digital goodies, such as Vine videos and Pinterest boards. This campaign has been enthusiastically embraced by our client, and is being shared across British Airways' network partners as a valuable way to sell exciting travel for all the joint businesses. Travel trends site Skift said of this campaign: "The video's smart use of technology will stir up wanderlust in even the most grounded of viewers and surely be one of the best travel ads launched this holiday season."